This cabinet from the 1950's reflects the influence of Bauhaus design. It is covered with bird's-eye maple, a fragile and valuable veneer. 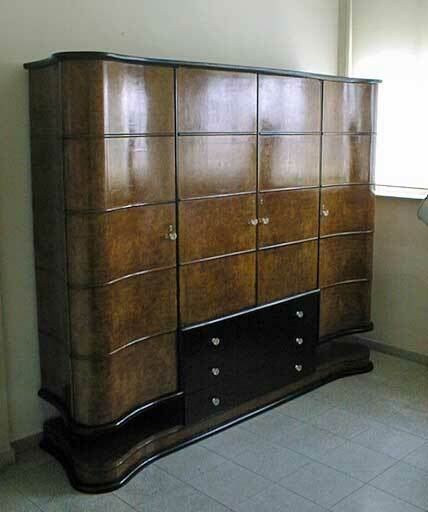 Major repairs were done to the veneer and the drawers were replaced. A black French polish was applied.